Navigo seeks to ensure that each client fully understands and is content with where they stand financially from a holistic viewpoint. For most clients, this entails offering retirement planning, asset and estate assessment along with unique portfolio management services that utilize sound investment principles and allow our clients to sleep well at night. Frankly, we are concerned about the state of the global economy and markets. As students of economic and market history for almost two decades, we are passionate about getting this message out and ensuring our clients are fully prepared for what lies ahead. What lies ahead? Unfortunately, we are not certain of the specifics, but what we are certain about is that every major asset bubble in the history of world economics has eventually popped without exception, and that subsequent reckoning phase that follows has had dramatic adverse impacts on those unprepared. Even in that context, we have a responsibility to see that our clients experience a smooth retirement transition and retirement, and we take it seriously. This entails fully understanding the client’s financial and retirement picture, educating them on what we are doing and why, investing with as much emphasis on protection as growth, and easing their concerns and stress about the future. Our mission is to fully prepare our clients for retirement regardless of what is going on around them. Mark Cawyer is the Managing Principal and a Wealth Management Advisor with more than 20 years of investment management and financial planning experience. 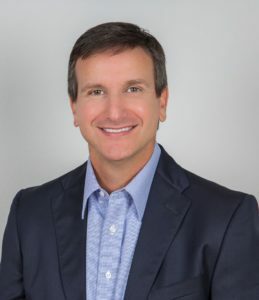 He holds a BBA degree in accounting from Abilene Christian University and an MBA degree from the University of Texas at Austin with a concentration in investment finance and portfolio management. He holds the NASD Series 7, 63 and 65 licenses. He began his career in public accounting as a CPA, auditing publicly and privately traded companies and was also a business management consultant for several years prior to focusing on a career in the investment management industry. Mark has been an investment manager for an institutional equity fund and ran his own investment research and advisory firm prior to transitioning his business to Merrill Lynch in early 2004. Realizing he could better serve his client’s interests under the RIA (Registered Investment Model) fiduciary model, he started Navigo Wealth Management in 2008 and has since served as the Managing Principal. He currently lives in Sugar Land, Tx with his wife, son and daughter. 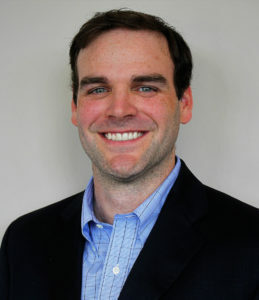 Rory Robertson is a principal of Navigo and has been a Financial Advisor since 2000. He worked 11 years for Merrill Lynch in both the Houston and Sugar Land offices. 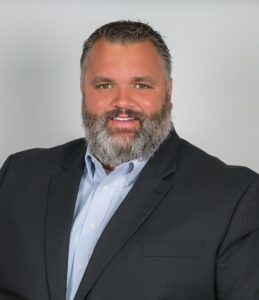 He joined Navigo in the fall of 2011 after deciding that a position with a Registered Investment Firm would better suit the needs of his clients and has been a principal since July 2012. He received his BBA from Sam Houston State University and holds the NASD Series 7 and 66 licenses. In addition to working with domestic clients, Mr.Robertson specializes in working with international families wanting to maintain investment accounts in the U.S. as well as U.S. citizens living abroad. He is committed to understanding his clients’ hopes and aspirations and taking a holistic financial planning approach for the entire family. Christel Walker has been a Wealth Management Advisor with the firm since the spring of 2016 and has over 14 years of experience in the financial services and wealth management industry. While at her previous firms, she developed a greater understanding of how wealth management clients could best be served which led her to join Navigo. Christel earned a Bachelor of Arts degree in interdisciplinary studies from Oklahoma Christian University and currently holds the Series 7 and 66 licenses. She began her career as a personal banker and quickly determined that her passion lied with helping individuals with their financial needs. 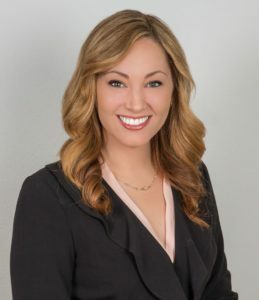 She steadily advanced as a Registered Client Associate, Senior Registered Client Associate, and Senior Financial Associate while serving clients at both Wells Fargo and RBC Wealth Management. She currently resides in Pearland, Texas with her husband and two sons. She enjoys her time with her family, serving as a member of local 501c3 foundations that support children and basic human needs, and supporting other businesses through the Pearland Chamber of Commerce. 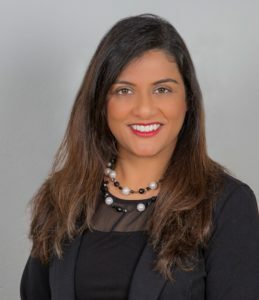 Shabana Nathoo has helped clients achieve their financial planning and investment goals for over 15 years while working at Scottrade and Wells Fargo. She received her Bachelor of Business degree in Finance and Marketing from the University of Houston in 2002 and currently holds the Series 65 license. She is also a Certified Financial Planner (CFP®). Prior to joining Navigo, Shabana was living as an expat and is uniquely in-tuned to the unique planning and investing needs of U.S. expatriates. She has also focused her passion on helping women with financial education and is particularly committed to facilitating their financial independence. Shabana lives in the Houston area with her husband and two sons. Chase Cawyer came on board in the fall of 2014. Although a full time practicing sub-specialist, Chase has long had a passion for helping others realize their financial goals. Having received his BBA at Abilene Christian University in Marketing he continued his business training while in Medical School by obtaining his MBA from Texas Tech University with a concentration in Health Organizational Management. Realizing the best way to help others reach their financial aspirations was on a personal rather than institutional level, he obtained his Series 65 license and became an investment advisor. Although Chase enjoys helping those of all business backgrounds he is especially passionate about reaching out to those in the healthcare field where his inside knowledge of the specific struggles and opportunities are invaluable. He currently lives in Birmingham, Alabama with his wife and three children. There is no doubt that consistent compounding of positive returns is the surest path to wealth creation and preservation. The challenge comes when the pesky market does not cooperate and significantly declines during pronounced bear markets, taking your exposed portfolio and plans down with it. It is especially challenging and stressful when those significant bear markets occur just before or during retirement. Managing risk, as measured by volatility, is paramount in our approach. We employ a variety of financial research milestones and strategy innovations and emphasize protection as much as growth, which delivers a more steady, reliable path to goal achievement. We design our portfolios to be much less dependent on rising markets. There are better investment solutions than the commonly used buy and hold, straight indexing, speculating, and the shot gun approach, especially in a debt burdened economy and an extremely overvalued market. The combination of those two concerns at current levels will very likely derail the best of plans for those unprepared just as they have every similar time before. Most of our portfolios are designed to squeeze out volatility as much as possible to create a smoother ride than what the client is generally accustomed to. This is achieved by combining many different active strategies with passive, diversified investments that complement each other. In addition, by using our market assessment tool, we are able to deliver steady performance regardless of market environment, bull or bear. It is often said that no one can consistently beat the market. We would agree and disagree. It is true that it is extremely hard to find an approach that beats an index like the S&P 500 every single quarter, every single year. We certainly have not. However, it is also true that if you can find a way to minimize your exposure to market losses during large bear markets and stay disciplined, you can absolutely beat the market handily over the long term; that is our approach. Our clients are a representation of the diversified communities in which we live and work. While we do not narrow ourselves to a specific niche, we have extensive experience in addressing the unique needs of clients including business owners, single women, physicians, retired and soon to be retired professionals, and emerging professionals. We can make a significant impact on you and your family as well. We serve high net worth clients with estate planning, tax minimization/efficiency, and wealth protection/transfer issues. These challenges become especially important to address for those with assets exceeding $5 million. We also serve retired clients with assets in between $1 million and $5 million as we help ensure they are managing their retirement effectively. We have many clients that are still working and running businesses. They generally have at least $100,000 in investable assets and are targeting higher retirement goals than the previous generation because of reduced corporate usage of pensions and concerns around the future of social security. Let us guide and educate you as we do them on how to confidently prepare for and navigate through retirement. While our expertise is portfolio management and retirement planning, we do have a comprehensive view of our clients and rely on many business partners to ensure our clients’ needs are fully met. This includes relationships with estate attorneys, insurance providers, CPAs, software providers and third party administrators for business retirement plans. We have an extensive relationship with Fidelity Investments which serves as our custodian and back office partner. As a result, we do not have direct access to our clients’ money; only to manage it. Our clients have Fidelity registered accounts and receive Fidelity statements. They also have direct access to their accounts at any time via Fidelity’s website. We have another important relationship with Blueleaf Wealth, a software company that provides our clients with detailed performance reporting information and asset/liability aggregation capability that is updated daily. Our clients are able to fully assess their portfolio performance for Navigo managed accounts as well as other linked accounts and assets held elsewhere. They can also link liability accounts such as mortgages and other outstanding loan accounts if desired and view their updated personal balance sheet.